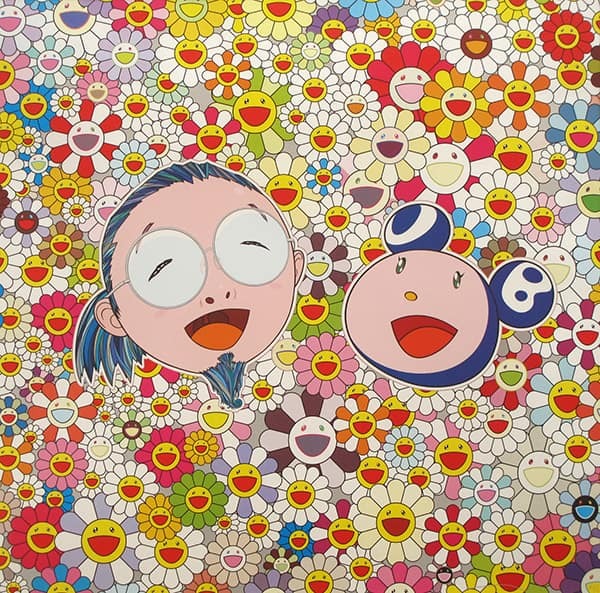 In 2003, Time Magazine named Takashi Murakami Japan’s hottest contemporary artist. His works have been exhibited worldwide and his collaborative designs with Mark Jacobs and Louis Vuitton were shown in their exclusive stores. Now for the first time in Cornwall, a selection of limited editioned works will be on view at The Rosevine from 22 August until 30 September. Moët & Chandon will be sponsoring the opening night on 22 August at 19h00 with Champagne for attending guests.